Known for its beaches, culture, and food, Mauritius is an excellent holiday destination. The northwest and southwest have the best beaches and best infrastructure for tourism. The east coast has charm and fishing villages that show authentic island roots. We spent one week attempting to find the best beach on the island. There are so many to visit and it was difficult to decide which was the best. 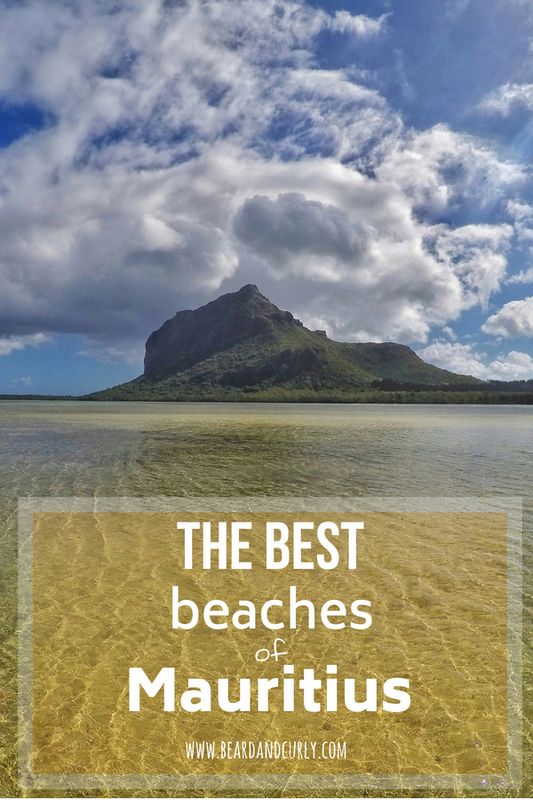 It goes without saying, the beaches are a highlight in Mauritius. With great beaches, the Northwest has the most tourism infrastructure. This region has the best shopping and restaurants on the island. Each of these beaches are close together and can be visited in just a couple of days. Aside from beaches, this is also the main place for scuba diving shops. These shops have daily scuba trips, snorkeling tours, and other water activities. The main beach town in the northwest, with plenty of restaurants, shopping, dive shops, and nightlife on weekends. Not the best beach as there are many boats in the harbor. This small but quaint beach is popular with locals. 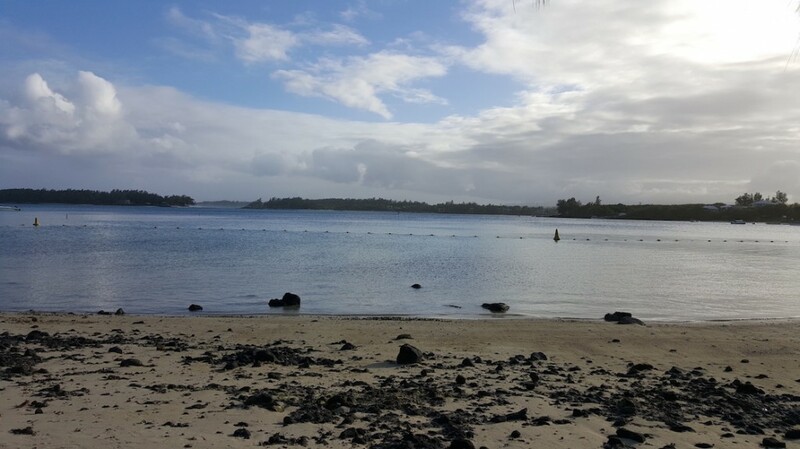 This is possibly the best swimming beach in Mauritius. There are very good street food options along the main road. This small beach has an even smaller area to enter the water, most of it is rocky. While it is not great for swimming, it is one of the most scenic beaches. There is a very picturesque church and a great (but small) fish market Monday through Saturday starting at 1 PM. A very long beach with soft white sand and several street vendors nearby. Excellent for water sports and activities. 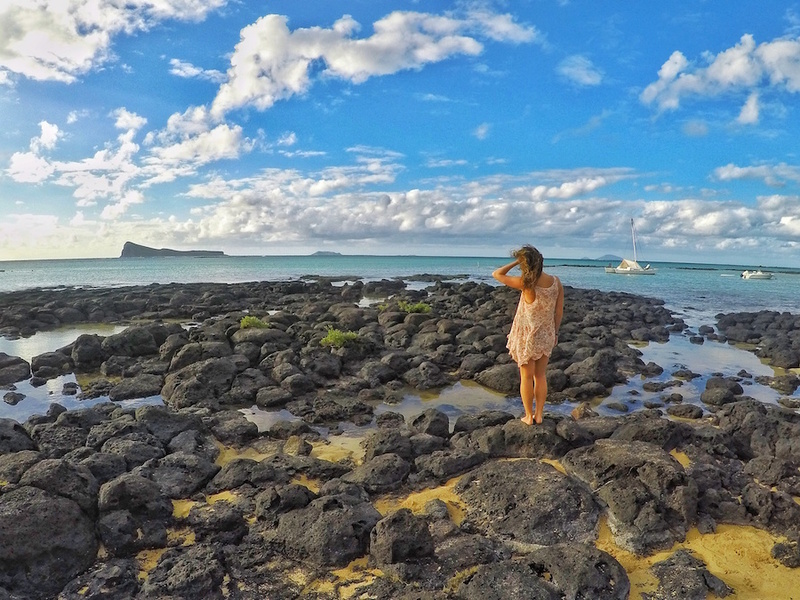 Our favorite area of Mauritius for beaches was the southwest. The clear water is breathtaking. Several small villages to popular beach towns define this coastline from Le Morne to Flic en Flac. The main beach town in the southwest with restaurants, shopping, and nightlife on weekends. This is a good swimming beach, and with several kilometers of sand, an excellent beach for a run. Just south of Flic en Flac, this small beach might have the most charm of any on the island. The views up the river’s mouth to the mountains in the Black River National Park are stunning. This beach is popular for watching the sunset. 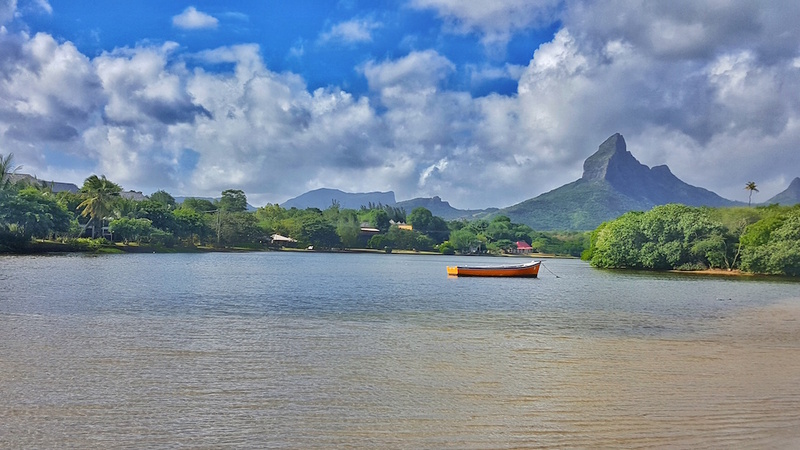 Le Morne peak is the most scenic and known peak in Mauritius. The peninsula is surrounded by crystal clear waters. There are several high-end resorts on the peninsula as well as two public beaches. The southern coastline of the peninsula has excellent conditions for kiteboarding. 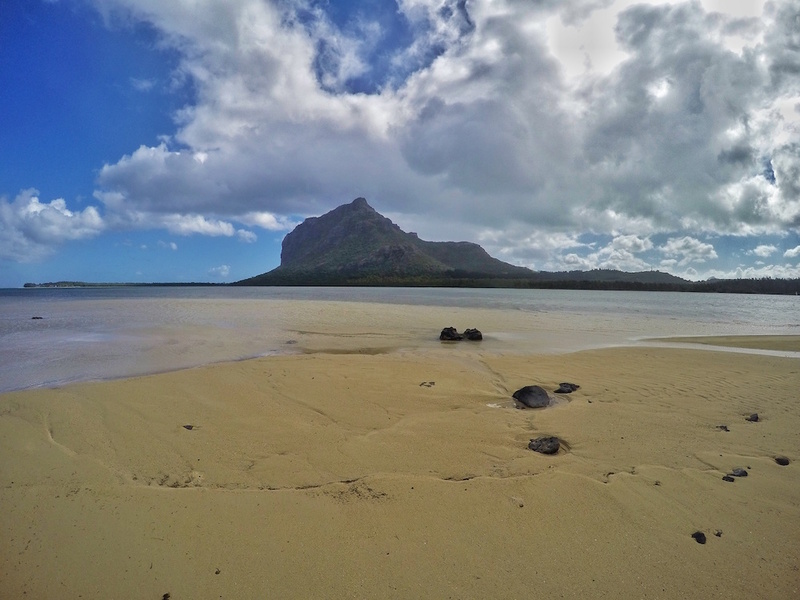 Past Le Morne peninsula on the southern coastline, this small village has lots of charm. 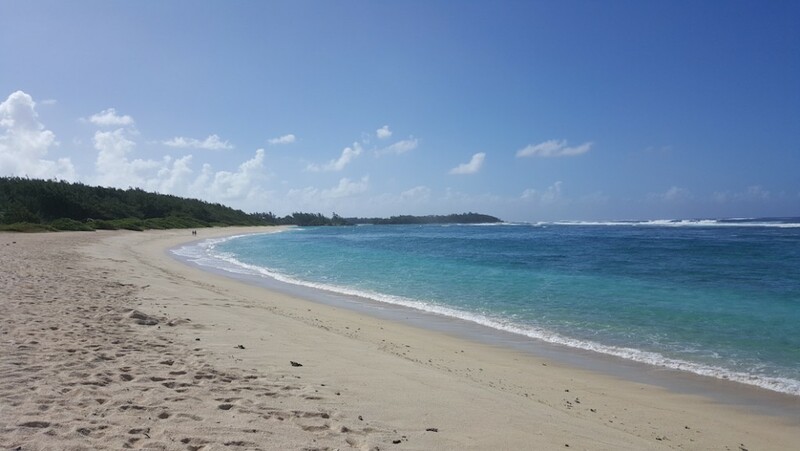 There is a small island (Ilot Fourneau) that is accessible to walk to during low tide (look for the clear sandbar and watch out for the sea urchins). For jaw-dropping views and amazing crystal clear water, go 1 km south of town to a small parking area along the beach. This part of the island is known for famous snorkeling around the Blue Bay lagoon area. 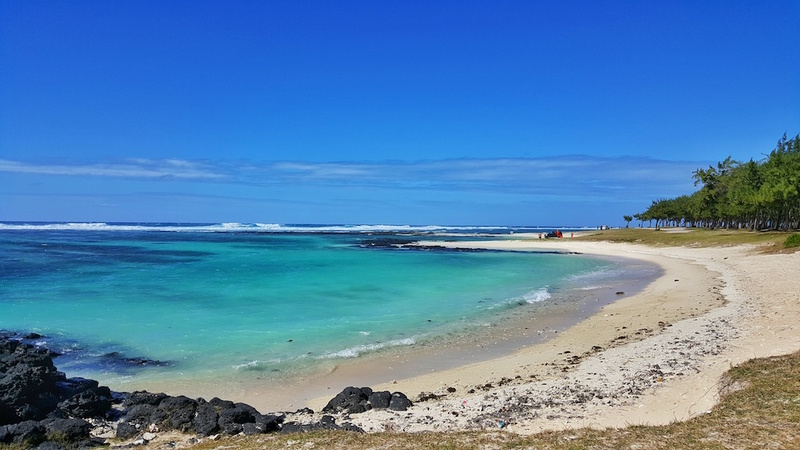 With close proximity to the airport, it is good for a stop on your first or last day in Mauritius. There are a few beaches in this region, although I was underwhelmed by them compared to the rest of the island. Often described as one of the best beaches in Mauritius, this was the only beach we felt unsafe at with unfriendly locals. There were also many boats near the swimming area. We would recommend coming here to set off for a snorkel trip, but not a day at the beach. Close to Blue Bay, this is a very clean and quiet beach. It is a bit off the main road past the airport, and should not be missed. This was our favorite beach in this area. This large bay with rocky shorelines is beautiful, but not great for swimming. There are several good options for street food, restaurants, and budget hotels nearby. Known for its fishing villages, from Trou d’eau Douce to Post Lafayette, there are several stunning beaches. The B28 coastal drive from Mahebourg to Bel Air is the best coastal drive on the island, and an excellent day trip to explore the quaint east coast. This small quaint town boasts a beautiful beach with clear water. However, there are a lot of boats as this is the location heading to Ile Aux Cerfs. 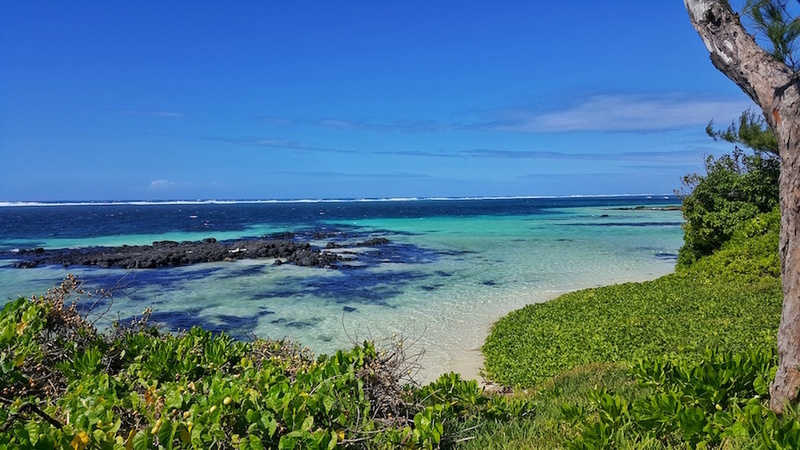 This island off the coast of Mauritius is stunning with white sand beaches and clear calm waters perfect for snorkeling. Tour agencies and dive shops offer full day tours with meals included for 35 euro (1,400 Rs). There is a public ferry for only 400 Rs. It is also possible to negotiate with a local for a full day tour in Trou d’eau Douce. This very small town and the tiny beach was underwhelming. However, continue south of town and there is an enormous stretch of public beach. These beaches are not the best for swimming as some areas are rocky and currents are strong. With that said, they are stunning and some of the best in Mauritius. 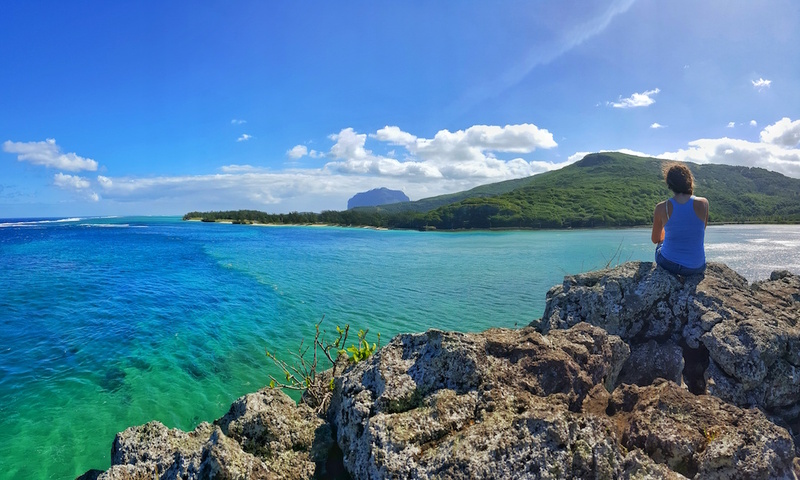 Known for posh resorts, the water is some of the best in Mauritius, but after three stops and no sand in sight, we went back to Palmer. This is a traditional fishing village with no beach, but a popular stop for excellent seafood restaurants. Food is excellent in Mauritius, with the diverse ethnicities come exotic blends of flavors and spices. Most beaches have food vendors offering food such as fried noodles, samosas, biryani, roti, curries, and many other options. Sailing cruises can be done in the north and east of the island. 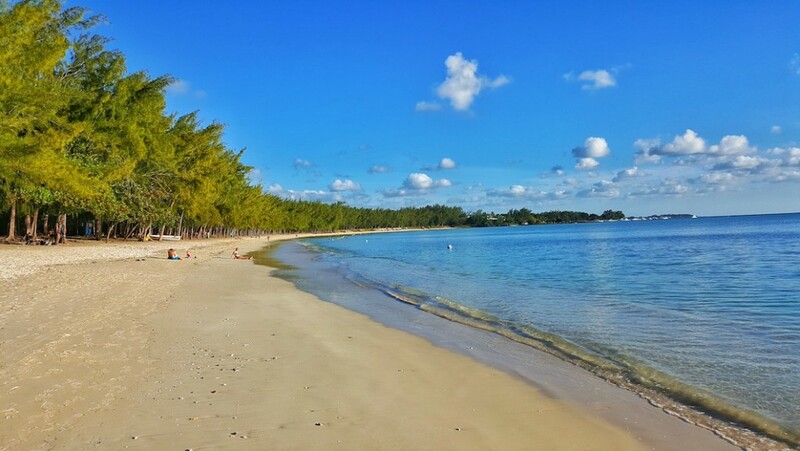 There are several small islands surrounding Mauritius with picture perfect sand and clear water. The most popular is Ila Aux Cerf, but there are several other smaller islands that are great options as well. Arrange an excursion with one of the dive shops or travel agencies. 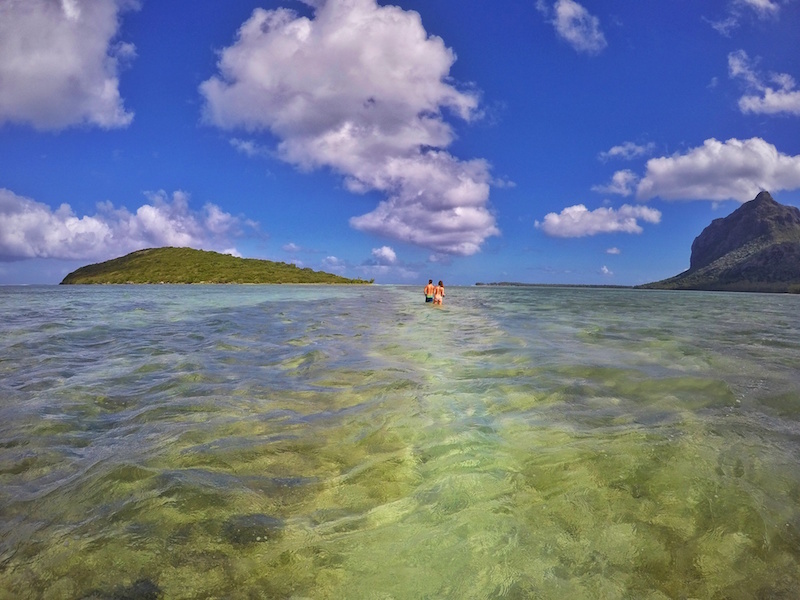 Kiteboarding can be done on the east coast, but the most popular spot is around Le Morne Peninsula. 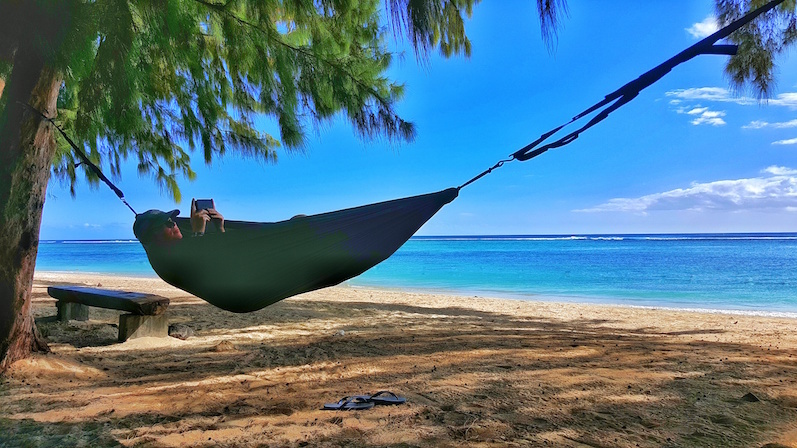 Go with Le Morne Kite School or Yoaneye Kiteboarding for rentals. Scuba Diving is primarily done from the northwest corner of the island, near Grand Baie. Diving prices are around $40 US per dive, and there are many dives shops to choose from. Snorkeling trips can be set up with dive shops as well. This beach is 1km south of the town. There is an area for parking with a few palm trees for shade. 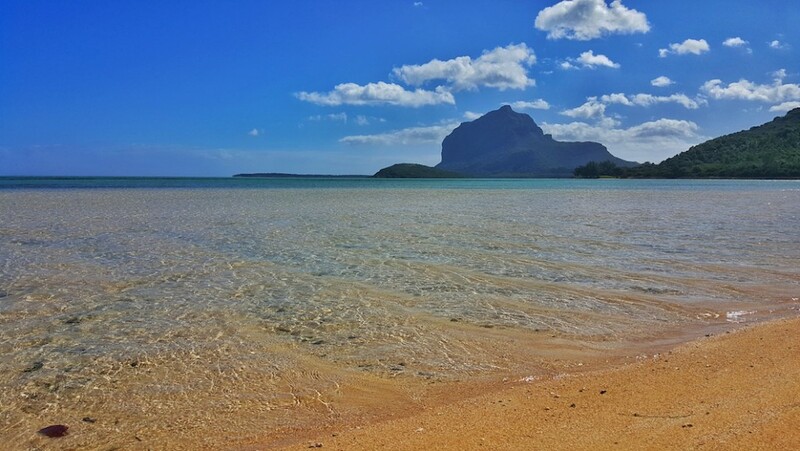 The shallow calm water is crystal clear with epic views of Le Morne peak. 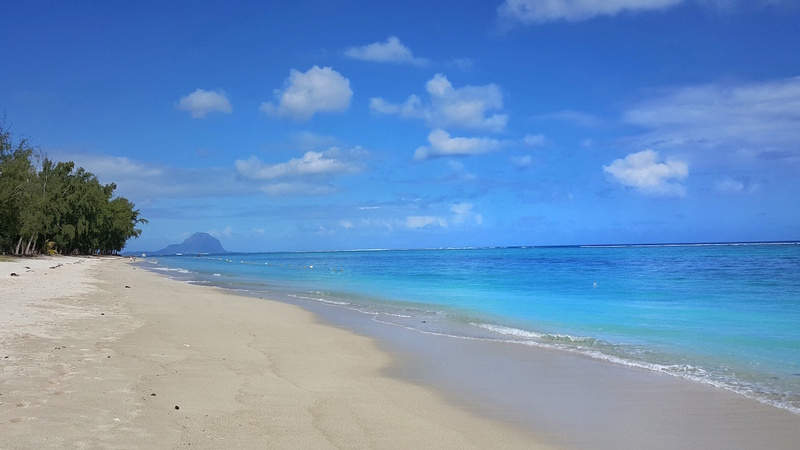 In addition to this perfect beach, one of our favorite activities was in Le Morne. If waters are normal and calm, there is a sandbar that can lead you to the small island across from town, called Ile Fourneau. This is a perfect place to come relax for a few hours. There is a small trail that leads to the top of the island with incredible views.